At Morgan & Morgan, we know how to handle cases involving workplace injuries, especially those sustained on construction sites. Our attorneys are familiar with the intricate federal and state regulations specific to these types of claims and can help navigate these laws to help you recover compensation for your losses. There are a number of complex liability issues that pertain to construction accident lawsuits, so it’s important to contact an attorney who has experience handling third-party injury claims. Our lawyers have handled workplace accidents and personal injury lawsuits for more than two decades and have the resources needed to go up against any insurance company who tries to deny the compensation you are rightfully owed. If you have been injured in a construction accident, our construction accident attorneys at Morgan & Morgan may be able to help. Our attorneys are experienced in a variety of practice areas. To have an attorney review your case at no cost or obligation to you, fill out our case review form today. Why Should I Contact a Construction Accident Attorney? Three of the ten most common safety violations cited by the U.S. Occupational Safety and Health Administration in 2015 occurred on a construction site. If you have been injured on a construction site, it’s important to contact an attorney to help with your injury claim. There are a number of state and federal laws concerning personal injuries and construction sites, which may or may not be applicable in a given situation. 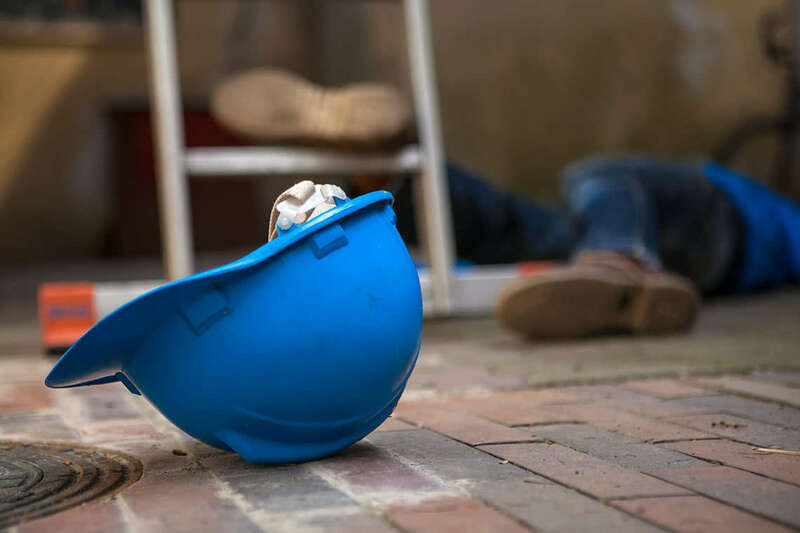 Additionally, there are a number of parties who may be liable for the injury, including construction site owners, general contractors, sub-contractors, manufacturers of faulty equipment, or another third party. Only a thorough investigation of medical records, the construction site, witness statements, and parties related to the incident can help to determine liability, as well as the laws applicable to your claim. A skilled construction accident attorney can start an investigation into your claim, identify any liable parties, and determine the type of claim you should pursue. What OSHA Rights Can an Attorney Help Me Protect? Receive copies of their medical records. An attorney can help workers who have been injured (or who believe they work in a dangerous environment that does not follow administration guidelines) file a complaint with OSHA. Employers are not allowed to fire, demote, or otherwise retaliate against an employee who files a complaint. If a worker who has filed a complaint with OSHA has been retaliated against by their employer, an attorney can help in filing a claim against the employer for their retaliation. What Are Some Common Causes of Construction Accidents? Construction accidents can occur for a number of reasons. OSHA requires employers to obtain certain permits, conduct regular inspections, and implement job safety programs to limit workplace accidents. Negligence, product defects and failure to adhere to safety policies and procedures can result in avoidable construction site accidents. In addition to these common causes of construction accidents, cell tower accidents are increasingly become a concern. In recent years, cell tower related fatalities have shot up. Between 2003 and 2013, there were 108 incidents involving communication towers, resulting in 91 fatalities and 17 injuries, according to OSHA. The lax adherence to safety and industry training standards, along with an increasing demand for faster networks, has led to dangerous conditions for these workers. If an employer carries workers’ compensation insurance, they are typically provided immunity from personal injury lawsuits. Workers’ compensation does not bar lawsuits against employers if the injury was intentional or egregious; however, it is more common to file claims against a third party. Construction Site Owner(s): In these cases, liability typically hinges on the degree of control the owner has over the premises, compared to the degree of control over the work being conducted itself. General and Sub-Contractors: Under OSHA, both general contractors and sub-contractors have the duty to provide workers with a reasonably safe construction site, warn of any hazards at the site or inherent in the job itself, and ensure the work is being performed according to safety regulations. When an injury occurs, the failure of a contractor or subcontractor to perform these duties may allow an injured worker the opportunity to seek compensation for their losses. Prime Contractors: Prime contractors are responsible only for work that is identified in their contract, or for any work they delegate to subcontractors so long as they have exclusive responsibility for such subcontractors. Architects and Engineers: In some cases, architects and engineers have a duty to observe progress and ensure compliance with plans and relevant code regulations. To determine whether an architect or engineer may be liable for an injury, it is necessary to establish which duties were outlined by their contract with the construction company. Manufacturers: Any party in the chain of distribution of a defective product, including manufacturers, retailers, and wholesalers, may be held liable if a defect in their product causes an injury. Contact an attorney to learn more about their legal options. What Damages Can an Attorney Help Me Recover From a Construction Accident Injury? Loss of consortium for widows or widowers. If you have been injured in a construction accident and believe you have a claim for your injuries, the attorneys at Morgan & Morgan may be able to help you with your personal injury lawsuit. We’re here to help with a variety of cases, including car accidents, workers’ compensation, medical malpractice, and more. Please fill out our case review form at no cost or obligation to you to learn more today. I would recommend Morgan & Morgan to anyone. When I was in need, I contacted them and was not been disappointed. Everyone I spoke with was extremely professional, courteous, friendly and took the time to talk with me and answer all of my questions. They explained everything to me, and I couldn't be more grateful.